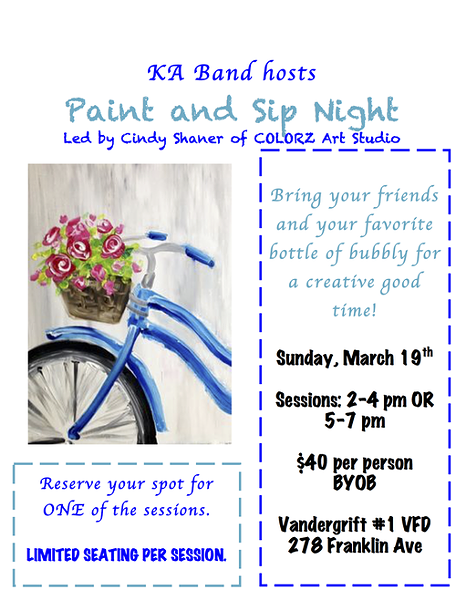 The Kiski Area Bands from Vandergrift, Pa. will host a Paint and Sip Night fundraiser benefiting the Kiski Area Band programs. Cindy Shaner of COLORZ Art Studio will lead the night. Reservations needed. All ages are welcomed but only participants of legal drinking age are permitted to bring alcoholic beverages if desired.